When I found out that there was a secret military base within a mile of downtown Manhattan, I couldn’t wait to check it out. 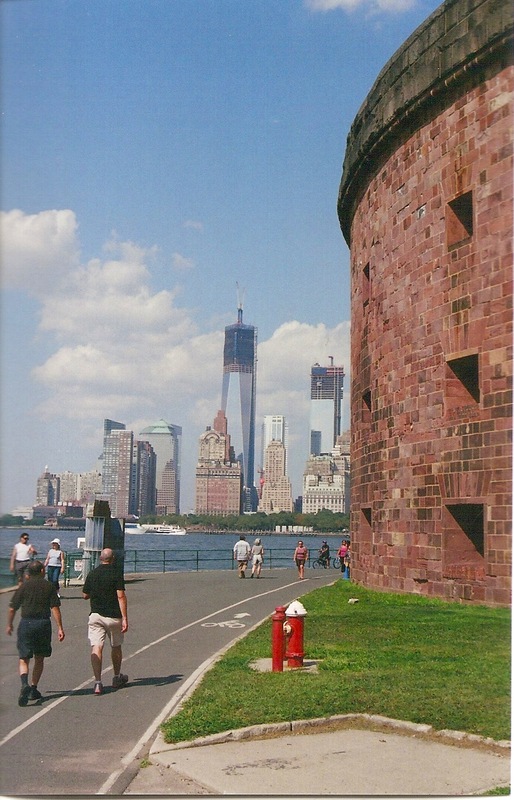 Governors Island served as a Revolutionary War fort, a prison, and the headquarters of the U.S. First Army and the regional Coast Guard command. For over 200 years, the Island was closed to the public. A few weeks ago, I finally got a chance to visit. It was not what I expected. Governors Island became a part of American history on April 9, 1776, when soldiers from the Continental Army arrived to fortify the Island (located at a strategic choke point in New York Harbor) to retard the British attack on New York. 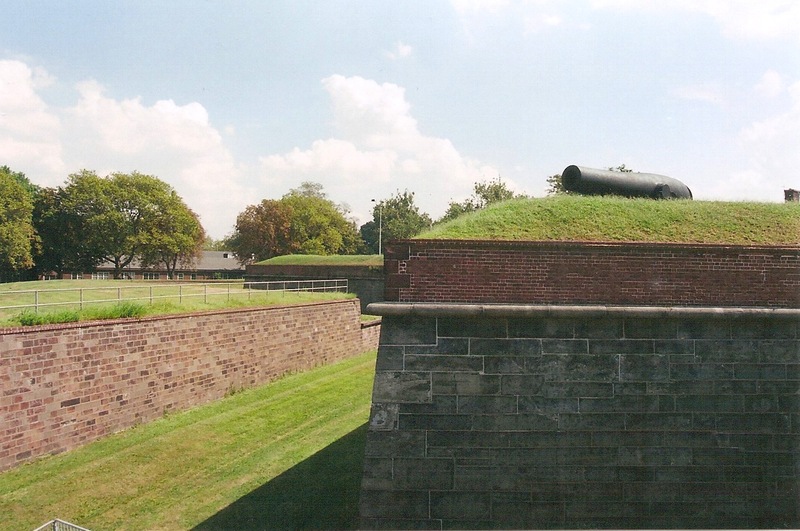 Those fortifications evolved into Fort Jay (later renamed Fort Columbus), which still stands today. The Army also stayed. Governors Island remained a military base from the end of the Revolution through the 19th century. Elihu Root, Secretary of War under President (and native New Yorker) Theodore Roosevelt, ordered the expansion of the Island using fill from the IRT subway system, and it eventually became the headquarters of the United States First Army. The First Army left in 1966 for Ford Meade, Maryland and Governors Island was taken over by the Coast Guard. The Captain of the Port of New York and command staff for the Coast Guard’s Third District called Governors Island home until 1996, when budget cuts forced the government to leave. Since it had been continuously occupied by the military since the Revolutionary War, Governors Island was off limits to civilians for over 200 years. That changed in the early 2000s, when the National Park Service rechristened the former base Governors Island National Monument. It seemed like a great opportunity: a chance to explore a virtually unknown patch of land in the middle of America’s busiest city. I was expecting a combination of earthworks and Cold War-style military buildings, all left just as they were when Governors Island was an active base 16 years ago. Indeed, Fort Jay and the fort/prison Castle Williams still stand. Many of the old buildings from the Coast Guard era are still there too, but are in the process of being torn down. Some had scorch marks on the windows, and were apparently being used in UL testing. What was surprising was the crowd. I had underestimated New York’s art and hipster cultures’ ability to rapidly colonize. A unicycle festival and a graphic design exhibit were being held the day I went. People lounged in droves on former parade grounds, in the shadow of Fort Jay’s guns and some contemporary sculptures. One wouldn’t expect tourists to be that interested in military history, and there are other parks in New York that don’t require a ferry ride to visit. There’s a good reason for that, though: the views. Governors Island is practically in the middle of New York Harbor, and paved trails encircle it. 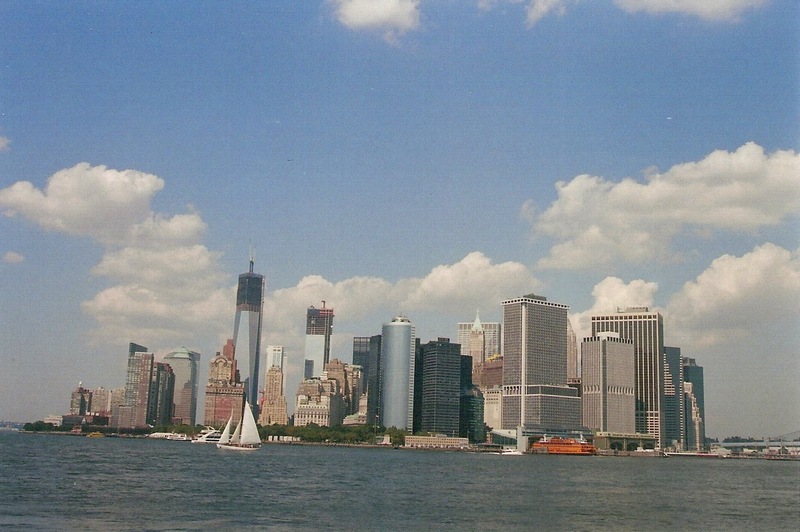 Walking around the Island, you can see all of Manhattan, along with Brooklyn and the Statue of Liberty. That alone makes Governors Island worth a visit. Anyone who isn’t interested in great views of Manhattan had better hurry. Most of the buildings are being demolished to add more park space, so Governors Island will soon lose its military feel. Historic buildings like Fort Jay and Castle Williams will remain, of course. A prime urban exploration site might be lost, but the unique vantage point of Governors Island is the real story, even if it does attract hordes of unicycle-riding tourists and hipsters. It’s also free, so if you’re in New York and evenly mildly curious, you don’t have much to lose. The ferry (about a 10-minute ride) leaves from the Battery Marine Terminal, the old building next to the depressingly modern Staten Island Ferry terminal. The latter might be more famous, but Governors Island is much more pleasant. Thanks to the Industrial Revolution, how to get from one place to another is not a problem. The problem is figuring which mode of transportation to use. We have plenty to choose from: planes, automobiles, buses, bicycles, boats, hovercraft… In my opinion, one of the most underrated forms of mechanized transportation is also the oldest: trains. I’m a huge petrolhead, but sometimes cars aren’t the perfect solution. I recently took a trip into Manhattan, a place where cars do not belong; parking spaces are just like any other Manhattan real estate: highly sought, and very expensive. Instead, I took the train. The Metro North Railroad’s Harlem Line is a short drive from my town, and in a little less than driving time (even with one train change), I was on Fifth Avenue and 42nd. I don’t want to romanticize rail travel too much; looking out the window, I wasn’t sure if I was in Westchester County or the Ninth Circle of Hell, and people can be somewhat rude. However, it’s still a pleasant experience. I wasn’t sitting in traffic or being herded onto a tube-shaped bus or plane. That is not surprising, because even today’s utilitarian commuter trains have an impressive pedigree. 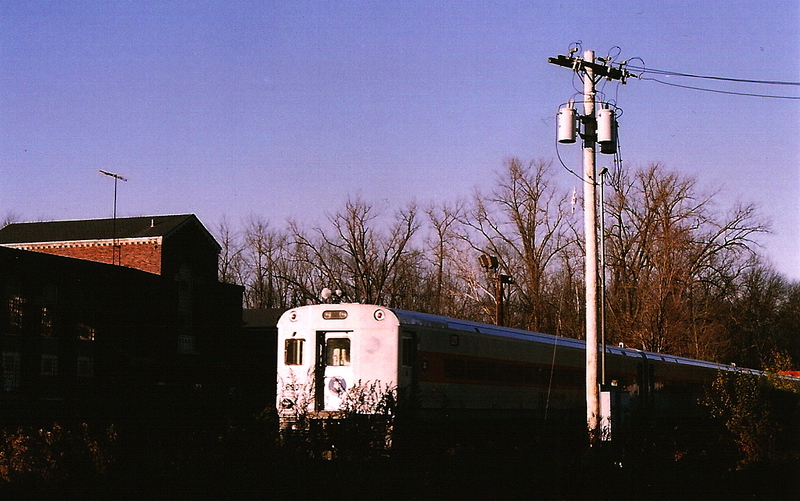 Rail travel used to emphasize class as much as convenience. Transcontinental lines like the Union Pacific tamed the West, and “name trains” like the Twentieth Century Limited and Empire Builder offered their passengers luxury as well as speed. While today’s commuter and Amtrak trains have lost some of that luster, they still have a bit of class. You get on when you want, get off when you want, and actually get to see what you would normally miss through large windows, from (relatively) spacious seats. With current concerns over emissions and the price of oil, America’s original mass transportation system may be a good alternative. The national rail system still covers most of the country, and if railroads brought back dining cars it would be hard to explain why eating microwaved food at 37,000 feet is so much better. The next time I take a big trip, I’ll probably be riding the rails.